Home » Dairy » Are you feeding your pre-weaned heifer calves enough milk? Achieving target weights is important for heifers; those that fail to reach target before calving will produce less milk in their first lactation and struggle to go back in-calf. In addition, underweight maiden heifers are harder to get in calf. Therefore, the early days of a calf’s life are vital for future performance and, during this period, calves need to reach their growth targets. Feeding calves high volumes of milk helps them to achieve their early growth potential – and this is beneficial to their lifetime milk production. However, calves fed more milk will not be driven by hunger to eat solid feed, since their hunger will be satisfied by the milk, and consequently may eat less starter. But, high milk fed calves can be encouraged to eat solid feed by implementing management strategies, balancing the intake of nutrients from both milk and solid feed. Recent research has indicated that more than half the replacement heifer calves being reared on UK commercial dairy units could be growing too slowly to hit targets for optimal health and lifetime productivity. 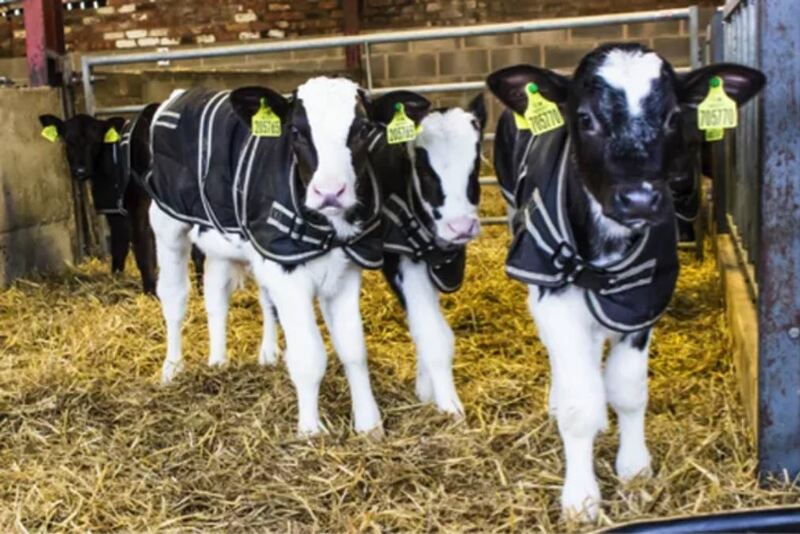 This new practical research – carried out by a team from the Royal Veterinary College (RVC) – has found that 70% of nearly 500 pre-weaned calves on 11 dairy farms in south east England had growth rates below the recommended 0.7kg/day and of these 20% grew at less than 0.5kg/day. More than 70% of the heifers studied were pure Holsteins. The amount of milk solids fed to individual calves on the 11 farms over their first 63 days of life ranged from 16kg to 56kg; weaning age varied between 37 and 97 days. The work was co-funded by the Biotechnical and Biological Sciences Research Council (BBSRC) and Volac. Research scientists hope the study findings will encourage more dairy farmers to feed calves more milk during the pre-weaned phase and to monitor growth rates more closely. 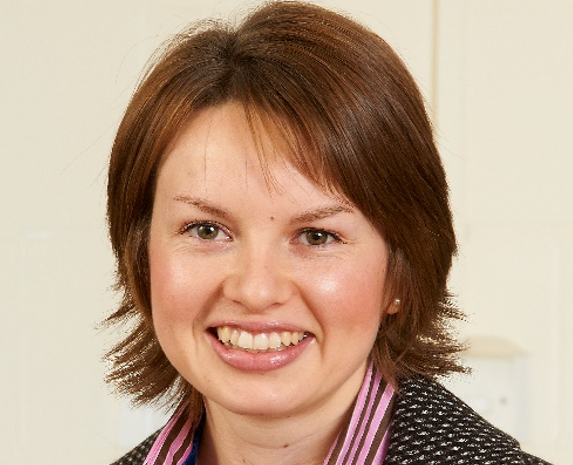 According to Professor Claire Wathes – who led the RVC study team – the amount of milk offered correlated positively with growth. She said: “To achieve the recommended growth rate of at least 0.7kg/day, calves need at least 750g of milk powder per day. They should also be offered calf starter ad lib, together with forage and clean water. This improves animal health, as well as growth, and sets them up to calve for the first time by the optimum two years-of-age. Providing chopped barley straw (separately from starter) during the milk feeding period has been shown to stimulate starter intake, improve weight gain and improve forage intake after weaning due to the calves increased ability to ingest and digest forage. Dr. Jessica Cooke – research scientist with Volac – pointed out that the calf experiences significant health and environmental stresses during the first two weeks of life and that feeding more milk from a few days of age is important for lifetime productivity. “During the first few weeks of life, calves are unable to eat enough dry feed to meet their energy requirements and are almost entirely dependent on their milk feed,” she said. “Early growth restriction can affect the long-term performance of the adult cow. As expected, the heifer calves offered more milk in the RVC study were found to have better growth rates up to 63 days-of-age. “But, this research also highlights the growth benefits long after weaning of providing a good milk supply in early life. Those fed more were heavier and taller at seven months-of-age,” she added. 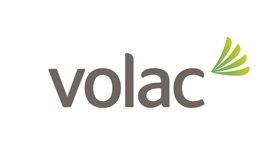 As a result of this work and other studies, Volac has recently refined its milk feeding recommendations. The result is a ‘best-practice’ feed plan to achieve optimum results. 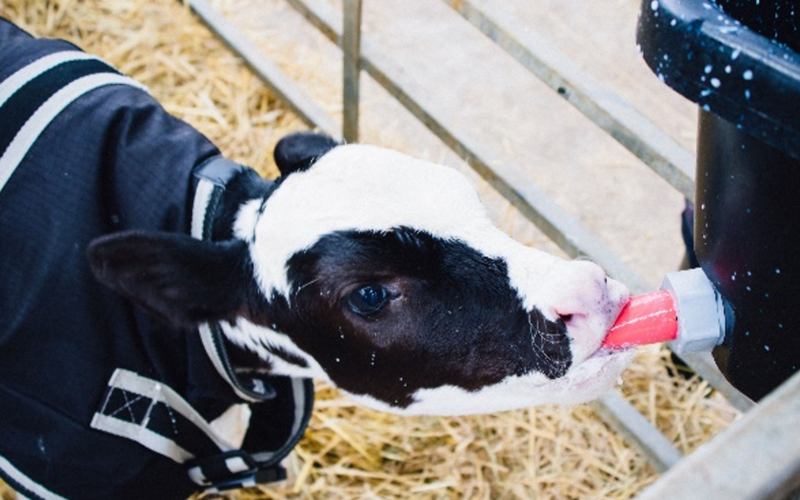 “As a guide, calves should be fed 5L/day following the colostrum period, increasing to a minimum of 6L/day from day eight through to 35 days-of-age. 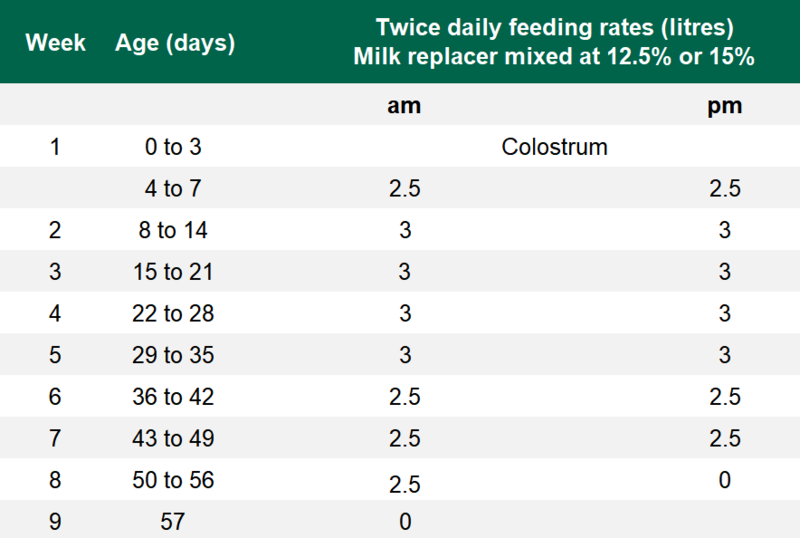 “Milk replacer levels should then be gradually reduced over a three-week period before weaning at day 56 [see table]. “After three weeks, the rumen should have enough bacteria fermenting enough solid feed to supply substantial amounts of energy, ensuring no growth setbacks around weaning,” Dr. Cooke said. Reducing the amount of milk offered gradually over a three-week period encourages starter intake, helps rumen development and improves the digestibility of nutrients after weaning. Starter intake will rapidly increase at weaning, when milk is removed. But, a rapid increase in starter intake at weaning does not allow enough time for the rumen to develop – the amount of starter that has been consumed for three weeks before weaning is key for rumen development.